Absolutely everybody is using a cloud storage system of some form or another. But undeniably one of the most popular of those cloud storage solutions is Google Drive, sitting alongside Apple’s iCloud and Microsoft’s own OneDrive. But how easy is Google Drive to use with Windows 10? Well, thanks to the Google Drive Windows 10 app, Google’s storage solution is actually one of the easiest to use whilst on Windows 10 and access from other devices whilst you’re out and about. As you’d likely imagine, Google Drive is the go-to option for those that already use many of Google’s services. For example, it’s integrated into Google’s Android mobile operating system and works seamlessly with Google’s incredibly popular email service, Gmail. However, that doesn’t mean Windows 10 users can’t take advantage of Google Drive too. Google Drive is primarily an online tool, accessed through your computer’s internet browser. With that in mind, the best way to get started with Google Drive is to set-up an account through the online site at drive.google.com. However, the best thing about Google’s online Drive portal is that it provides everything you need to store and access your files. Think of Google Drive’s website as an online file explorer, allowing you to not only create files but access the files you’ve uploaded from any device. Users of Google Drive’s online interface will know that the site is designed to look and feel like an application. With that in mind, the easiest way to use Google Drive on your Windows 10 PC is to add the site to your bookmarks or even pin it to your desktop and access when necessary. What’s fantastic about Google Drive is its suite of applications that can be accessed directly from your web browser. Google Drive actually originated as a fully integrated office suite, with a word processor, presentations and spreadsheets. With that in mind, Google’s online suite of office applications is often accredited as the best available, easily beating Microsoft and Apple’s similar solutions. However, just don’t expect the same level of functionality as the Microsoft Office suite on your desktop. Accessing a web application isn’t all that possible if you don’t have access to the web. Thankfully, Google has extended their Drive service to be completely accessible offline, which is especially useful for Windows 10 users. 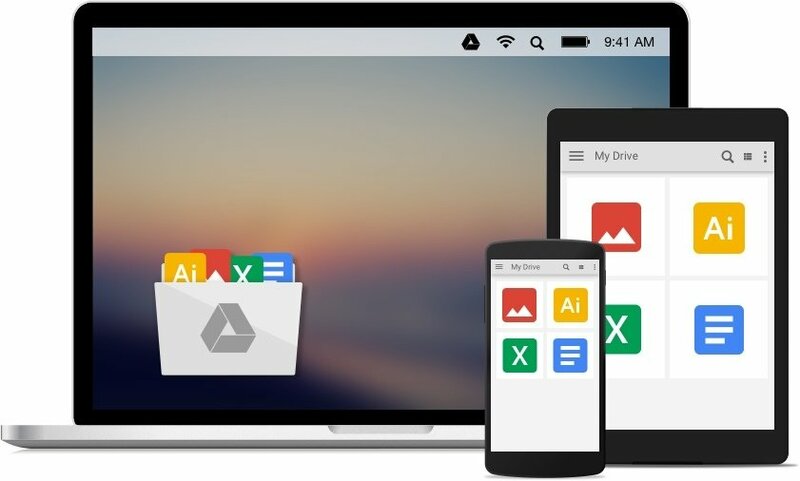 The Google Drive desktop app is available to download for free from Google Drive’s downloads page, where you’ll also find links to download Google Drive for a number of operating systems, including iOS and Android. 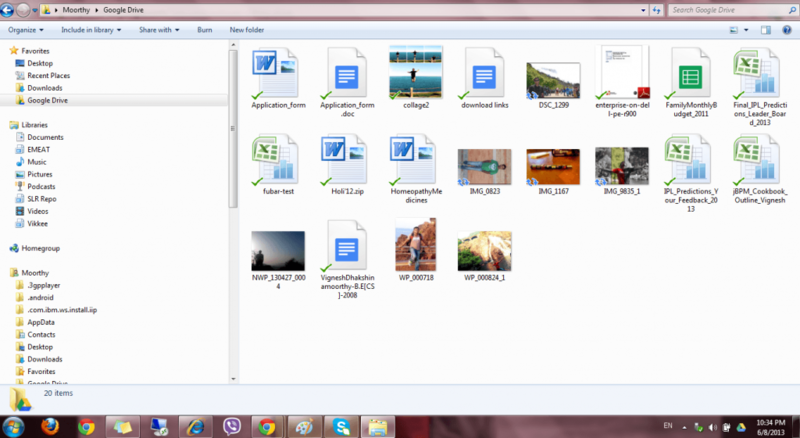 In terms of the functionality of Google Drive’s desktop app, users of the web application will find it works similarly. However, the app does allow certain files to be marked for offline access, meaning you’ll be able to take your laptop or tablet out of the house or office and access your files on the go. What’s more, the app allows easy and offline access to Google Drive’s suite of office applications too, meaning that those who don’t have access to Microsoft Office can still access a free alternative on the go. Whether or not you have the need for a Windows 10 desktop application depends on how often you use Google Drive and whether or not you intend to take your files with you on the go. However, for those that do need the latter, it’s fantastic to see that Google are fully prepared with their own desktop app. It’s pretty easy to see why Google Drive is one of the most used cloud storage solutions available. That’s helped by the solution’s flexibility, allowing users to access their files just about anywhere, no matter what device they’re using. 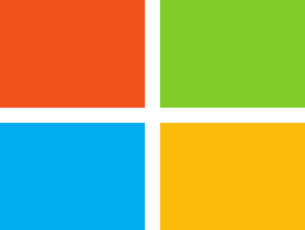 Plus, Windows 10 users are some of the best catered to. There’s never been a better time to switch to Google Drive as your cloud storage solution of choice.